During the tail end of University I started getting back into collecting but I didn’t have a lot of money. I started with the original Xbox and to be honest I pretty much just went nuts and brought most games I could for the system for a stupid cheap price. At this stage the Xbox 360 was out and original Xbox titles were going for very little. It’s during this wonder period I managed to obtain classics like Otogi 1 & 2 and Panzer Dragoon Oorta, two games I absolutely love and have received no ports to other platforms to this day. Although I hadn’t finished my education collecting was a fun hobby for me as it helped distract my attention away from the stress of studies. I also played every game I collected as it was interesting to witness different gaming experiences between heavy study sessions without knowing how well they had scored in the reviews in magazines or online. The majority of my Xbox collection was generated from Blockbuster Video, a franchise long dead now in both UK and US. The local store to me was selling off the disc only games for a couple of pounds. My best friend and I would make regular trips and pretty much pick up games we wanted. Sudeki a very niche title that was also released on PC (and is available on GOG) was one of my favourites. Everything was disc only with the occasional manual thrown in, the discs varied in quality since these games were rented multiple times to customers. This taught my friend and I a hard lesson in disc inspection but fortunately for us we could take chances on scratched discs and return them for exchange if they failed to work. The store did make use of resurfacing but as I will cover in a future article this doesn’t fix everything. Since most my collection was disc only I purchased a very large CD folder to store the games which I still have to this day. It saves a ton of space and keeps the discs from further damage. As I settled into work I did start to get a little bit more picky about the quality of the games I picked up. Unless I really wanted to play the game I generally tried to go for Complete In Box (CIB) especially with older games as the manuals contained fascinating content about the game that wasn’t just the control layout. 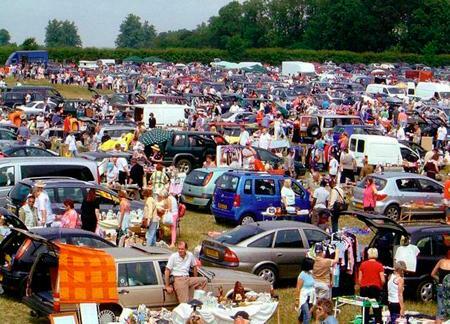 Some time passed and then one road trip back from holiday my partner and I came across a car boot sale. We only had 6 pounds between us but we decided to pull in and check it out. I had not been to a car boot sale since I was very young but we ended up doing quite well from the experience despite our lack of funds. We found a complete copy of Buffy the Vampire Slayer on Xbox the same copy I would later use on Gaming History 101 game club. The same seller also sold me a Dreamcast with two controllers my first step into salvaging my Dreamcast collection. It was a very entertaining experience for the two of us, with our lack of funds we deliberately had to haggle harshly. We had so much fun from this experience we to this day go out to car boot sales provided the weather is suitable. I was still going for CIB games if they were CD based but was happy to go cart only on the older consoles which helped me generate a very nice Master System collection over 2 years. Car boot sales have been a good and a bad. I have every so often come across very uncommon games for reasonable prices but I have also been very guilty of buying huge lots of games because they were very cheap and in turn ended up with a lot of shovelware titles. While collecting bad games can be quite fun I have never had any intention building a collection of football games. Car boots also posed a huge risk as there was no return policy on the stuff I brought. To this day I find its a gamble buying a console as you won’t know if it works until you get home, the same can be said for games. The experience over the last few years has taught me to inspect items carefully. I have of course dabbled in the eBay thing but this has always delivered mixed results. Everyone has an eBay nightmare story. I went through a period where I pretty much only brought games off ebay but the luster wore off as it just wasn’t as much fun as finding the game. Its pretty hard to find a good deal on eBay these days. Don’t get me wrong it’s fantastic if you are looking for a specific game quick and unlike car boots you do have the refund policy as a safety net. The most rewarding finds in my collection today have been finding them out in the wild and that’s pretty much what I am settling on currently. I don’t use eBay unless I see a game I want to cover for the site. I am quite happy just being patient and buying stuff when I come across at car boots or charity shops. I am also at the stage of my life where I am started to downgrade my collection. The harsh reality some collectors get to is you realize you have too many games and not enough space or time to play them due to other life commitments. So I’m starting to let some of the collection go. 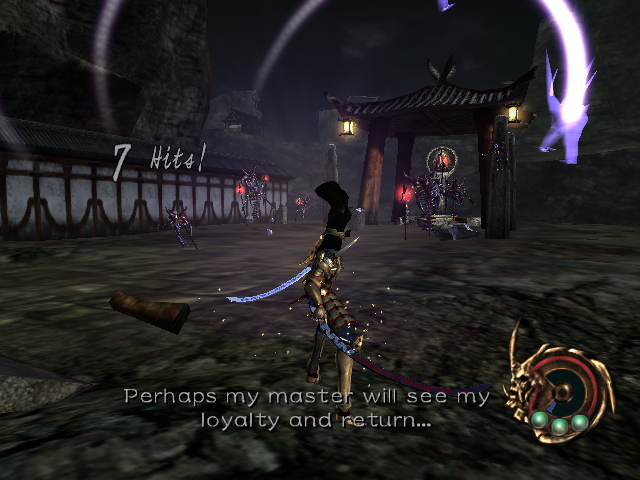 Who knows maybe this will be another Onimusha tale all over again. As you may have gathered from this article the type of collector I am has changed over the years. Although I am at a point at the moment where I am starting to say farewell to my collection that’s not to say that I won’t change my tune. The most enjoyable part of collecting is sharing the experience with my partner and the Gaming History 101 community. A few years ago my partner and I started holding retro nights in our flat which we still periodically hold every so often. They have always gone down very well with friends who enjoy it when I present some very obscure title to the fray. There is something about just sharing the hobby with other people that has just made the experience all the more enjoyable and its these small experiences that keep me collecting to this day. Jam, thanks for sharing: your story is very similar to mine. I’m still trying to rebuild my collections from my youth. The selling of my N64 collection several years ago is the one that hurts the most, because I had some amazing titles that just aren’t cheap to repurchase these days. If you ever feel like sharing your collection in pictures or video someday, I love to see it! Holy crap, is that a picture of your collection Jam? If so, then I’m very impressed with your Sega CD collection. Your story is very similar to mine, but I started in 1979 with an Atari VCS and was jealous of my friends’ Intellivisions and Colecovisions a few years later. Then I skipped a number of generations throughout High school and college only to get married in 1994 and buy a house in 1995. With 800 sq ft of basement, I started collecting like mad to experience all that I had missed. I bought everything I could get my hands on from Colecovision to Dreamcast. I got everything from local stores, flea markets and garage sales – nothing from Ebay. When my son arrived in 2000 I topped out at 1200 games and 20 different systems. I’ve sold off every bit of it in the last 15 years simply to make room for all the junk that comes with having kids. I’ve even purged myself of the PS2/Xbox/Gamecube generation as of a few years ago. I did sell everything on Ebay, though, and had an opposite nightmare of being a seller. The only thing I really miss is my Turbo Grafx. Even though I can play the games through emulation, there’s just something about firing up a real console and an original controller that can’t be simulated. That and the uniqueness and novelty of the TG-16 makes me miss it to this day. Your collection puts mine to shame! I am all for physical copies, but also very picky and selective; only buy (and play) the games I love (or know I’ll love), and I love a very small percentage of what there is. Currently, I believe I have less than a hundred game disks, and 4 PlayStations. My CD collection is 10 times larger than my game collection.